As I sit here with my limited understanding of what it means to remember those that gave their lives for the State of Israel, I realize that my personal obligation and responsibility is relatively easy when put side by side with those who have sacrificed so much. In just a few words I will try to convey my feeling as to the basic effort I believe is incumbent on all of us who love Israel and the Jewish people. I lived in Israel for 3 1/2 years. Although that was many years ago I fell in love with the place. For me, someone raised in a strong Jewish household and the son of Holocaust survivors, I grasped the importance of the State of Israel at a young age. That being said, I never had to do what so many others have done and continue to do to ensure its existence and security. All I have ever been is a beneficiary of other’s sacrifice. Having been raised by 2 wonderful parents that suffered through the hardships of Nazi occupation and woke up to the horror of losing their family and friends, the concept of remembrance has always been paramount in my mind. I write a little, speak a little, and try to show as much honor and respect as I can, but in the end I have personally concluded that there is only one way for me to truly show honor and respect. That is to always remember. Not just on Yom HaZikaron but every time I think of the blessing of the State of Israel. 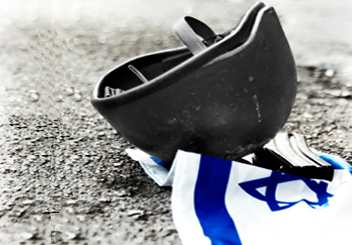 Every time a member of the Israeli Defense Forces “IDF” is lost in battle, every time I meet a former member of the IDF, and every time I read or hear the tragedy of another lost soul to a terrorist attack. I try to do more than just remember on one day, I try to make it part of my consciousness. It is not easy to live with certain knowledge when that knowledge is painful or horrific, but when comparing oneself to someone who experienced it personally, to always be aware of what took place is a small price to pay. For all those who have sacrificed so that we as Jews can have country we call our own, I am fortunate that all I need to do is always know the sacrifice they made for me. In that way, in some small manner, I try to honor them every day. In this post, for those who are not more directly connected, I am going to explain why things are as they are on this blog. For example, how does Yom Hazikaron, Day of Remembrance, a day to remember those who sacrificed their lives for the State of Israel, tie in to the book Jew Face. No post on this site is random. The origin of it all goes deeper than the book itself. 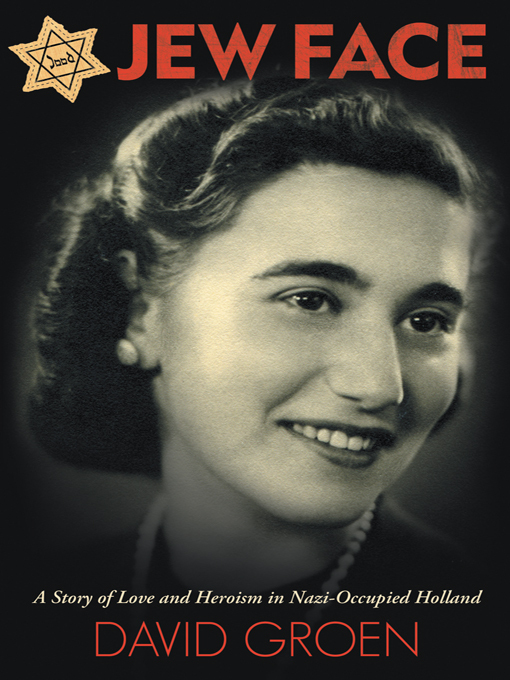 Jew Face, as the cover says, is a story of love and heroism in Nazi-occupied Holland. The love story between my parents and their heroic acts and behavior, Nardus and Sipora Groen is the main subject matter of the book and naturally will lead to many posts surrounding them and the life they lead. Expanding it further the book discusses the heroism of various people, Jewish and non-Jewish throughout the 5 years of occupation. Those active in the Dutch resistance will be discussed frequently and as in as much depth as possible with the main focus being on the righteousness of Lubertus and Geeske te Kiefte. When you peel away another layer however the function of the blog goes much deeper and maybe requires explanation. Three years after the Jewish people experienced the devastating horrors of the Holocaust, the Jewish State of Israel was formed. Jews all over the world declared “Never Again” and have felt a sense of security knowing that there is a Jewish state willing to defend the lives of Jewish people all over the world regardless of their practical support for the nation. The mere existence of this state gives an added strength to that cry of “Never Again”, and every life that is lost in defense of this state is a life that was sacrificed to protect the Jewish people. When writing a book like Jew Face, a book about what 2 people experienced, as a Jew myself it is impossible to ignore the deeper importance of the story. The origin is the history and future of the Jewish people together with a hopeful betterment of mankind. May God always bless those who have made the ultimate sacrifice.